Dumpster rental New Orleans is now easier, at an affordable price and service that is second to none. Our cheap dumpster rentals is what make us the number one dumpster rental company in the entire metro New Orleans area. New Orleans Dumpster offer 15, 20, 30 and 40 yard dumpster sizes. We also offer flat, low rates for our dumpster rentals. We make it simple and easy to place a dumpster order. We offer dumpsters for construction projects, residential clean outs and a lot more. 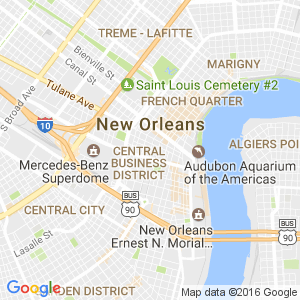 Why Should I Rent a Dumpster From New Orleans Dumpster? At New Orleans Dumpster our wide range of roll off dumpsters are ideal for home owners and property owners. No matter whether it’s a reconstruction project, house clean-out or major improvement or if you want to remodel your kitchen we certainly have the right type and size of roll off containers to complete the task perfectly. What ever junk you have got to get rid of, our trash dumpsters can get the job accomplished. How Big of a Dumpster Should I get? At Dumpster Rental New Orleans our 10-40 yard dumpsters can easily take care of the waste generated from any project, big or small. For your next home improvement project, make sure to evaluate the size of the project and what dumpster size you may need, in case you need several dumpster rentals. The very last thing you’ll need when starting a remodeling project is to be concerned about your rubbish removal. If you’re like most people, you see roll off containers just as huge steel containers that are used to take trash to the dump. With many different sizes of roll off dumpsters, you’ll easily find an ideal container for your job at New Orleans Dumpster. Also, since our roll off dumpsters are open top containers-which are easy to pitch the junk into-and has wheels that provide easy delivery, we are able to place your dumpster in the most convenient location for you or where ever you desire the dumpster location. Ask if there any other fees? With us there is no hidden charges. Do I need a permit? Call New Orleans City Hall to see. Not sure what size container you’ll need? Have no idea of just how much to spend on a dumpster service? Don’t worry about dumpster rental prices. We have the best rental price to suit your needs. Dumpster rental New Orleans will assist you to find the correct dumpster size to meet your needs whether your needs are residential rental or a construction dumpster rental. We really wish for our customers to be completed satisfied. That’s the main reason we try to provide the lowest rates. What we want at Dumpster Rental New Orleans is that when you rent a dumpster from us we want it to be easy. Give us a call, when you are ready to rent a dumpster in New Orleans, LA and let us help you for your entire waste needs. Whenever you contact us, you will understand everything you should know about renting a dumpster from us. We try only for the best service for our customers. We will deliver our roll-off dumpsters by the due date and we will make sure that you are delighted. We will also provide you with a free quote whenever you give us a call. Our staff will be glad to help you in any way.